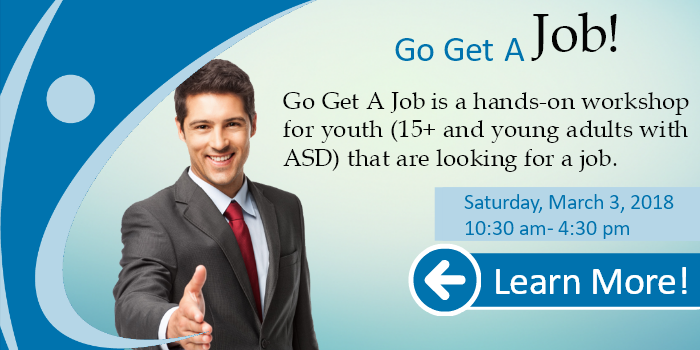 Go Get A Job is a hands-on workshop for youth (15+ and young adults with ASD) that are looking for a job. Either part-time, full-time or summer jobs. Writing a resume and applying for a job is stressful for any youth or young adult. 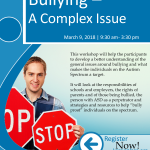 Add ASD into the mix and it’s a very stressful process that most would want to avoid. 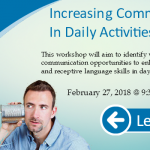 This hands on workshop will go through step-by-step the process of getting a job, writing a resume, practice for the job interview, and strategies to assist for the first day on the job. 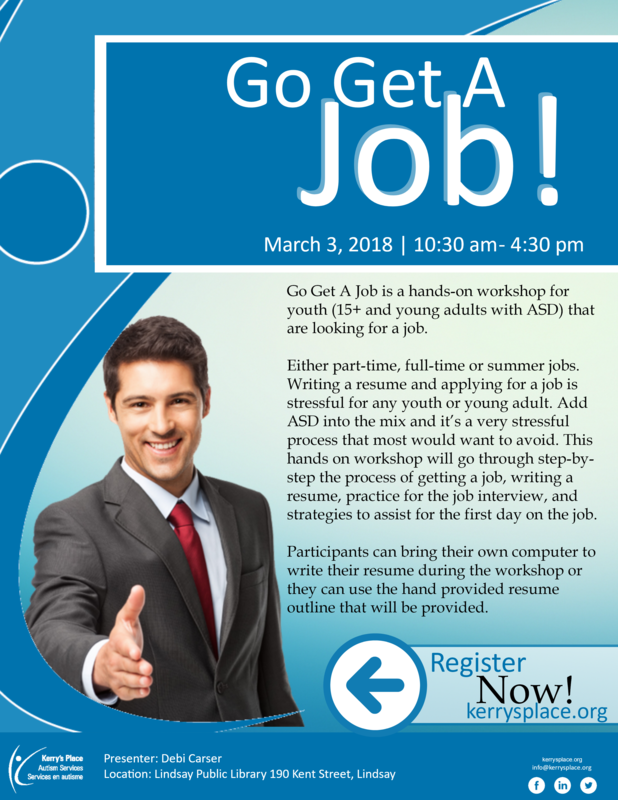 Participants can bring their own computer to write their resume during the workshop or they can use the hand provided resume outline that will be provided.